Google AMP stands for Accelerated Mobile Pages. It is an open sourceinitiative supported by technology companies like Google and Twitter. The goal of the project is to make web content load faster for mobile users. For many mobile users, reading on the web is often slow. Most content rich pages take several seconds to load despite all efforts taken by site owners to speed up their website. It is very similar to Facebook Instant Articles. However, Instant Articles are limited only to Facebook’s platform, more specifically to their mobile app. Accelerated Mobile Pages are platform-agnostic and can be used by any app, browser, or web viewer. Currently it is used by Google, Twitter, LinkedIn, Reddit, and others. SEO experts claim that Accelerated Mobile Pages will help you rank higher in Google, and it improves the user experience for mobile users on slow internet connections. However, they are several challenges for website owners, bloggers, and marketers. While Google AMP supports Google Analytics, it does not support many other analytics platforms. Same goes for advertising options which are limited to select few advertising platforms. 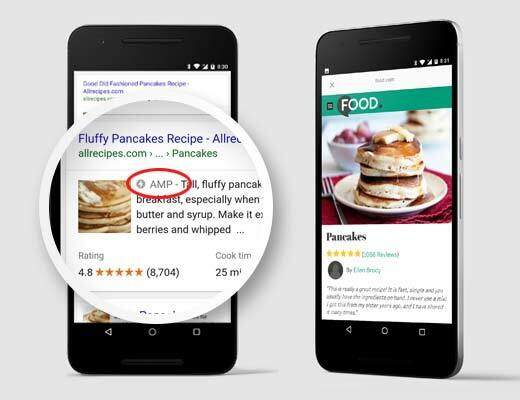 Despite its limitations, Google is pushing AMP pages by giving them a boost in mobile search. If significant chunk of your traffic comes from mobile searches, then you may benefit from adding AMP support to improve and maintain your SEO. Note: There have been a few complaints about Google AMP by bloggers. First is by Alex Kras who claim that you can potentially lose mobile traffic if you enable Google AMP. Read the article thoroughly because that’s a huge problem, and despite what the Google Tech Lead for AMP project has said, there aren’t any good solutions that address the issue in our opinion. Second is by Terrence Eden which highlights the difficulties of switching back from Google AMP should you change your mind in the future. We don’t believe this is a major issue because you can do a 301 redirect which several have pointed out in the comment section of his blog posts, but nonetheless it is something you need to think about. For the reasons above, we are not switching WPBeginner to Google AMP just yet. However since several of our readers asked about how to setup Google AMP in WordPress, we have created a step by step process on how to setup Accelerated Mobile Pages in WordPress.